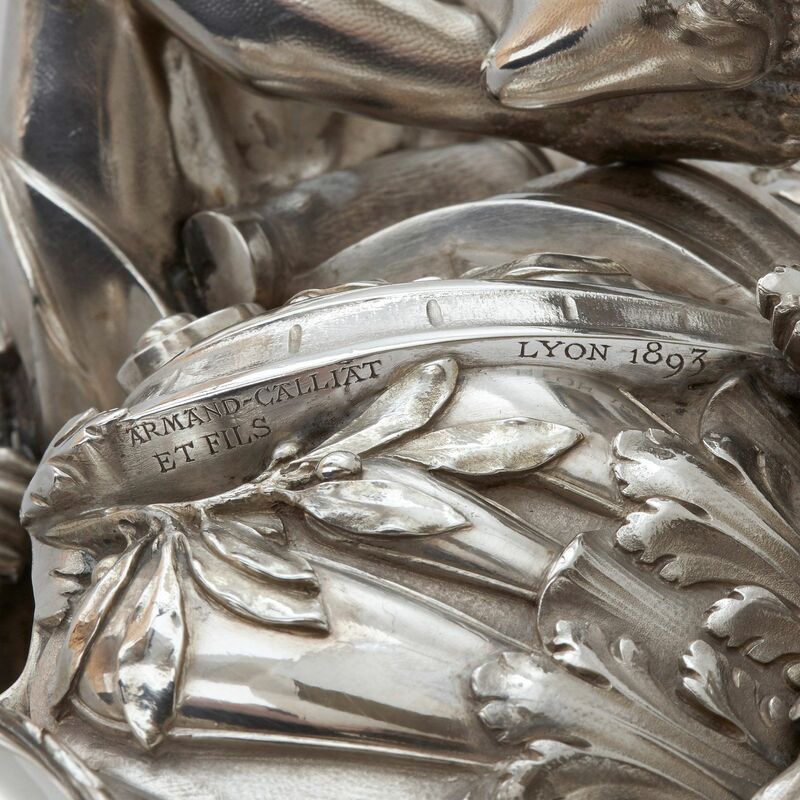 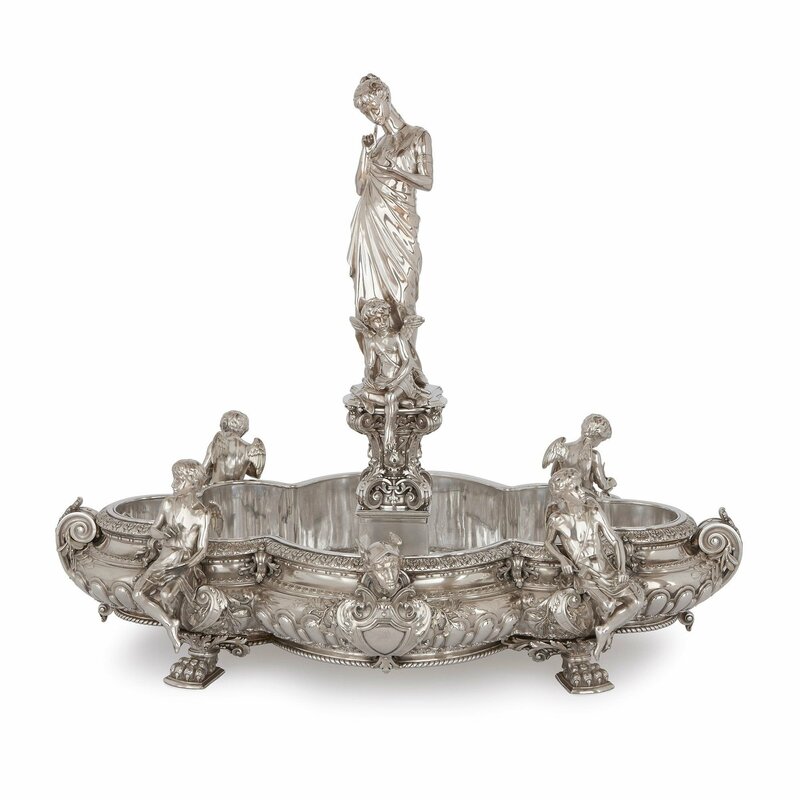 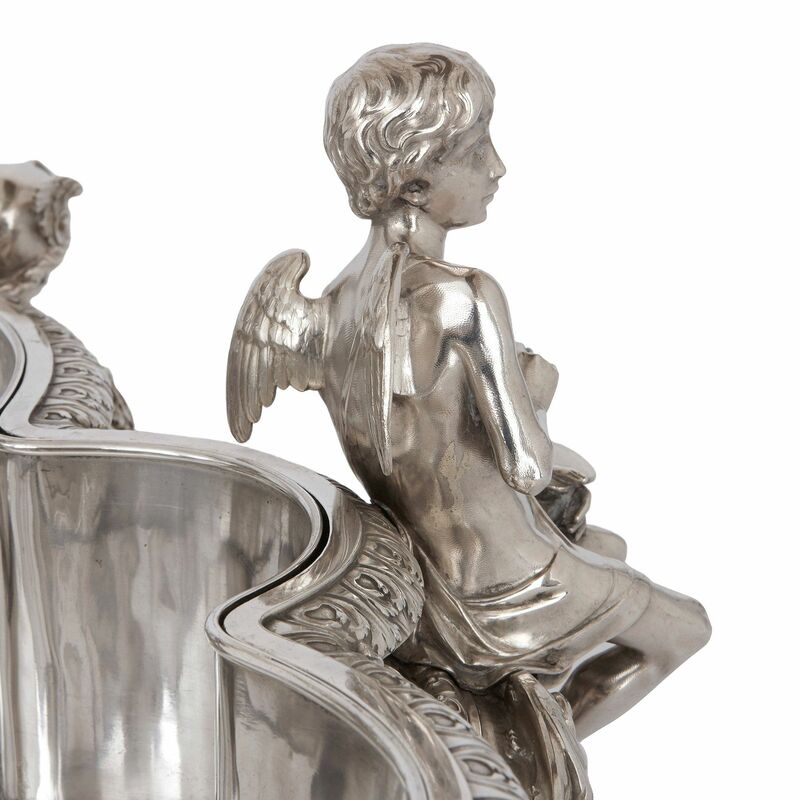 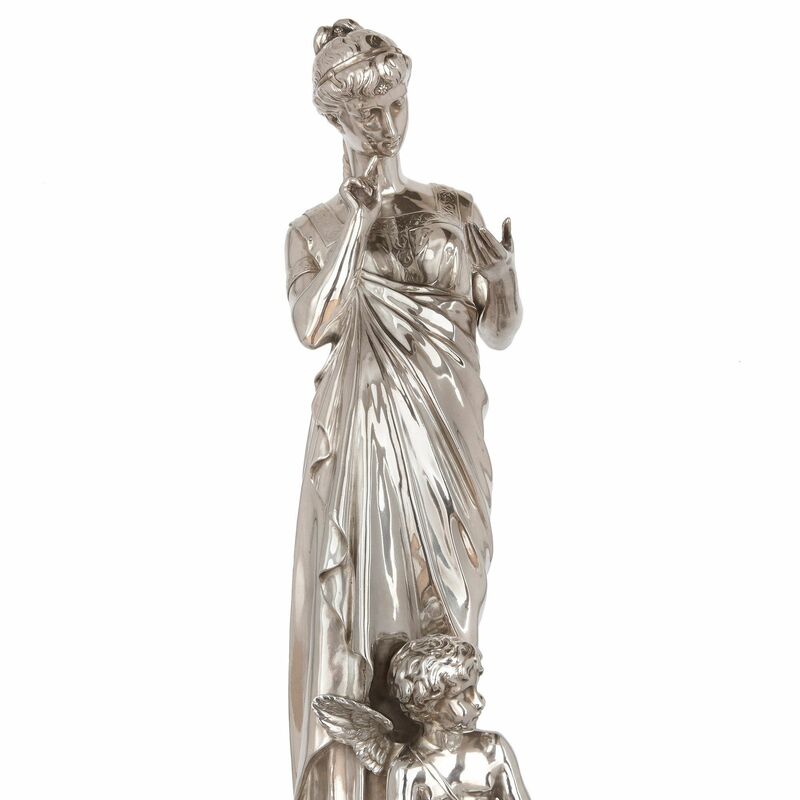 This exceptional centrepiece is crafted entirely from solid silver. 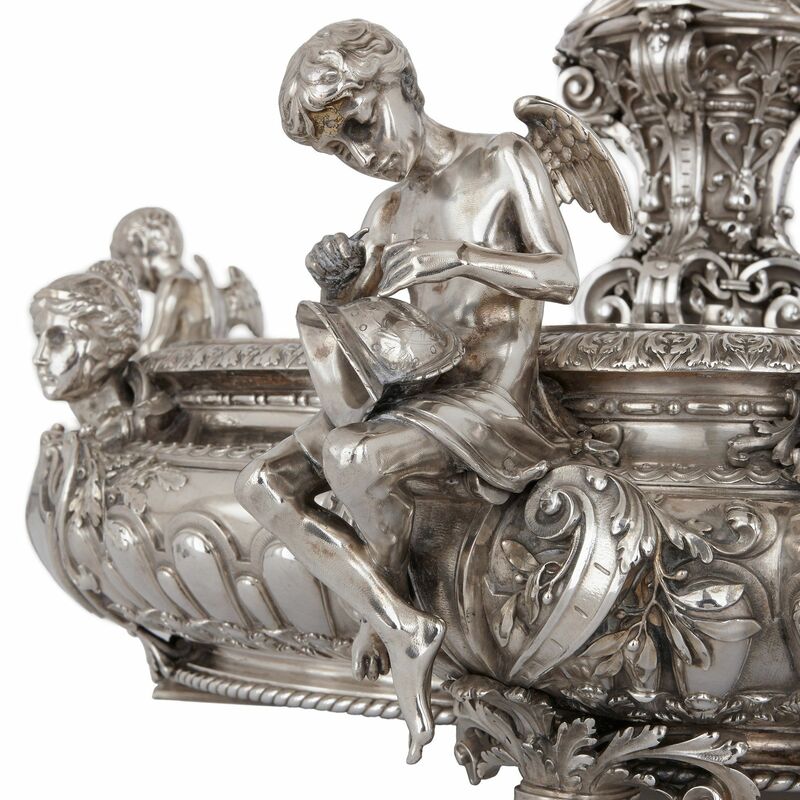 The beautiful work is unusual both for its large size and its exquisite detailing. 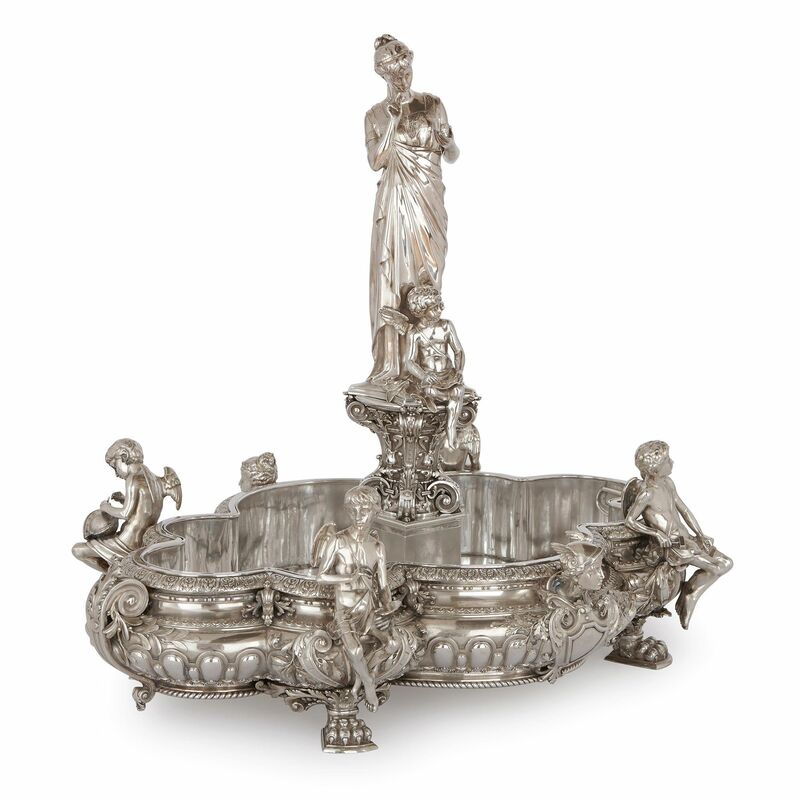 Of oval form with lobed decoration and four paw feet, set with four figures representing the Arts and further depictions of Mercury and Ceres, the centre with a full length female figure representing Curiousity, after the Antique, with a cherub at her feet, further decorated with floral and scrolling features, signed, situated and dated 'Armand-Calliat et Fils / Lyon 1893', with tole liner.